venue Masker Theatre (Hatfield Campus of the University of Pretoria). time As per performance date. cost We request a donation of R5 per child. University of Pretoria (UP) Drama, in collaboration with the SAPS and Tshwane Metro Police, proudly present the annual TIE (educational theatre) programmes, which powerfully combine drama/theatre and entertainment into Edutainment for learners in grades 0–4, 5–7 and 8–10 respectively. This year, we use drama /theatre to address social issues such as peer pressure, bullying and substance abuse. 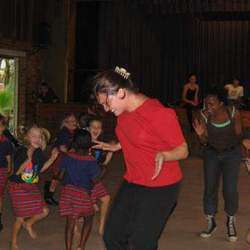 Programmes are presented at various schools in the Pretoria area. For bookings and queries please contact Inspector Klaas van der Kooi at 0123336005/6.